Christmas shopping can be emotional, expensive and exhausting. Never fear! 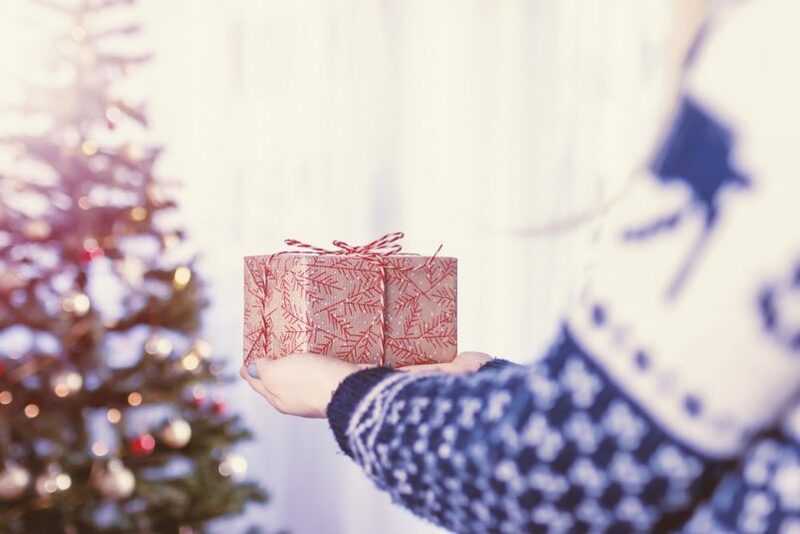 I am here with a round-up of the best natural and new age gifts for Christmas. 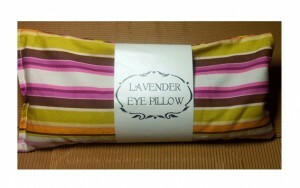 Grab a cuppa or a wine, sit back on your couch, browse and shop. Too easy. Actually this gift guide sort of accidentally, maybe on purpose turned into my Christmas wish list. My birthday is five days after Christmas so I have even more chances of getting lucky! What is on your Christmas Wish List??? Beautifully gift boxed, this starter pack from The Jojoba Company has a sample of some of their most popular products. Ideal to try them out yourself or introduce someone else to the magic of jojoba oil! I love everything I try of this range and it really has improved my skin. Life long fan here! You can get it in pharmacies or health food stores or you can buy online here. My all-time favourite gratitude journal by the very talented Fran at Happi Empire. 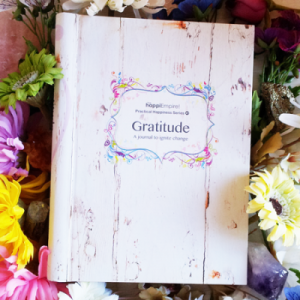 Beautifully designed, it has various prompts, quotes and inspiration for your daily gratitude. Get it from Fran here. These are fabulous! They keep drinks hot or cold for hours as they are double walled and still cool to touch. I love the inbuilt infuser for my loose leaf tea. I just make up a brew before I leave home and sip on it throughout the day – it sure beats buying hot drinks and it’s eco-friendly. They look so stylish as well. 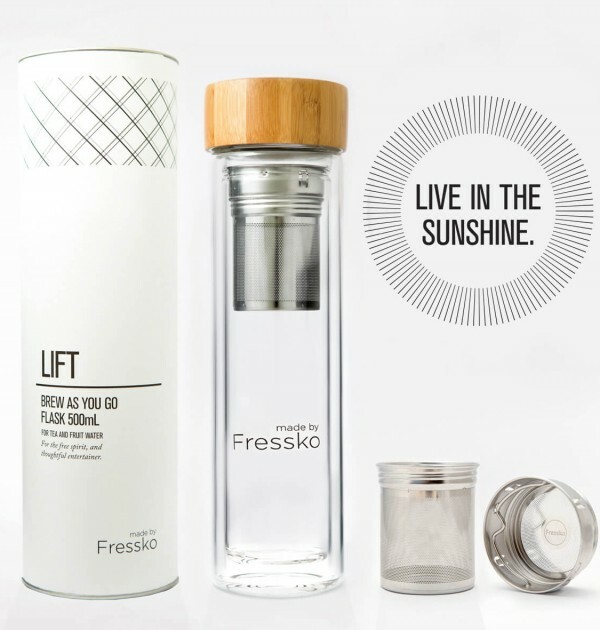 You can get a few different sizes and also one in stainless steel with a bamboo finish too. 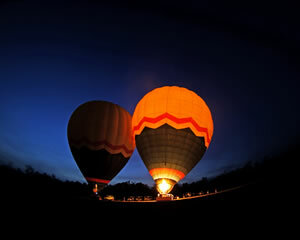 If you have never been hot air ballooning, you are missing out on a wonderful experience! I went many years ago over the Cairns hinterland and I still remember the beautiful feeling of serenity and peace floating up above the earth. It’s pretty magical! You can get vouchers for hot air ballooning all around the country online here. 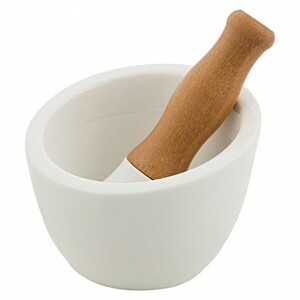 A mortar and pestle makes a great gift for any foodie. They are so handy in the kitchen – this one is so funky and it’s affordable too. Made from porcelain and bamboo. I actually bought this for my daughter a few weeks ago. It’s a beautiful black leather case that protects you from radiation emissions. There is a massive 50% off the Cellsafe brand for phone (we also have these!) 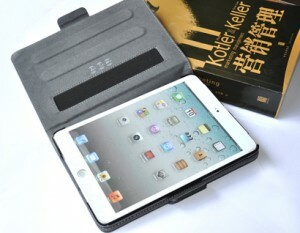 and ipad cases at the moment too. 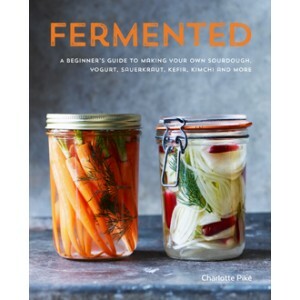 Fermenting is making a come-back but a lot of us don’t know how to make these traditional foods. They do require a little bit of knowledge to get just right. This beginner’s guide will give you everything you need to know about sourdough, yoghurt, kimchi, kefir, kombucha and more. These little gifts are great for stocking stuffers, secret Santas or just for small gifts! 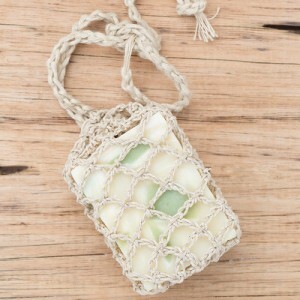 This crocheted hemp soap saver bag comes with a natural soap bar. No nasties – just beautiful natural ingredients and essential oils. The hemp does not rot and will last ages and ages – it’s particularly great for filling with all those little bits of soap so you don’t waste them. 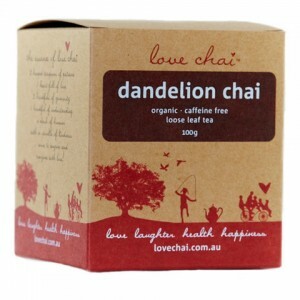 Love Chai is one of my all time favourite tea brands! They are a small, Aussie owned business and formulated by naturopath Emma Watson. I love that they are all organic and loose leaf so there is no need to worry about toxic teabags. Get the range online here. 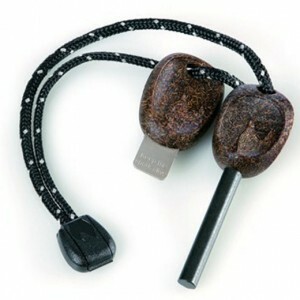 You will never need matches or a lighter again with this magnesium striker that works in any weather and at any altitude. Made in Sweden, it also has an inbuilt emergency whistle. A very practical gift that is sure to also be a talking point! These are the most amazing things ever! 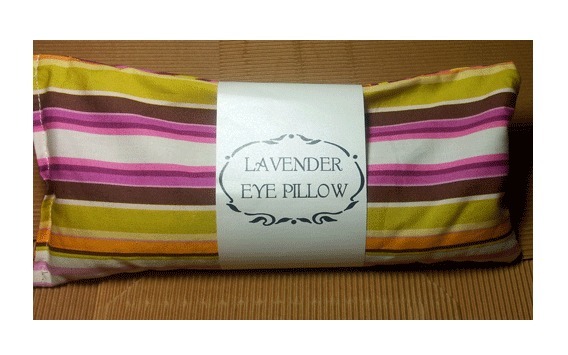 Made with natural cotton, flaxseeds and lavender oil, the gentle pressure is soothing on your eyes. A really lovely relaxation experience. You’ve always got us covered Sonia! Can I ask – have you tried the Shanti oil perfume? It sounds lovely and I’m a sucker for natural scents.